International real estate advisor Savills has rebranded its Middle East business following the acquisition of Cluttons Middle East on May 31 last year. 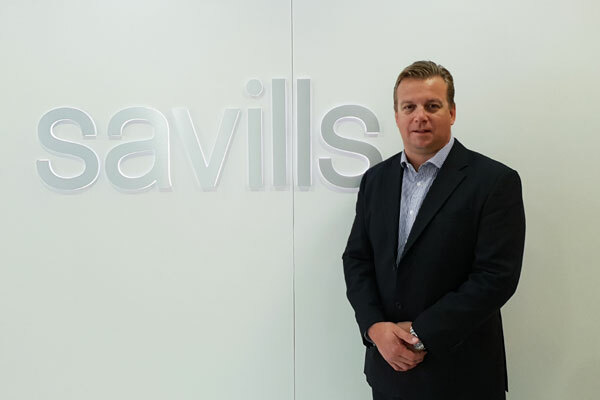 The firm, which was previously represented by associates in the Middle East, has completed a successful six-month integration process with the region’s leading and longest-established advisor Cluttons Middle East, which will now be known as Savills. In the Middle East it will operate across five countries including Bahrain, Egypt, Oman, Saudi Arabia and the UAE, with seven offices employing 230 people, offering the broadest geographic reach of any real estate consultant in the region. Savills will further strengthen these in-country teams with new hires and key recruitment to grow the business further, it stated. The occasion was celebrated with a briefing morning hosted by Savills Middle East CEO Steve Morgan, as well as key members of the leadership team. Savills has established an international residential team in the region to facilitate cross border investments into markets in which GCC investors are already active – the firm has significant worldwide experience as a market leading international residential team. Savills will also further strengthen its Global Capital Markets offer by working more closely with clients based in the Middle East to enable them to access leading investment destinations across the world through its office network. In line with the wider Savills business, it will expand its Middle East Property Management business with a specific focus on Commercial assets to reflect this core strength of Savills global service offering. Finally, Savills is expanding across markets which will see an increase in demand for professional real estate services, including Saudi Arabia and Egypt. Commenting on the occasion of the successful integration, Steve Morgan, CEO of Savills Middle East said: "Over the past six months, we have been fully immersing our existing Middle East team with the international Savills brand, and refining processes for a seamless transition for our clients." "There are many complementary synergies and a lot of benefits for partnering with such a well-established global entity, particularly for our customers who can access a broader range of international services and networks," he noted. "We believe there are significant growth opportunities from leveraging Savills’ global reach. Clients will benefit from a team with a comprehensive regional presence and years of local knowledge and experience, backed with a world-class international network and robust research covering all sectors and markets," he added. Savills CEO for Europe, Middle East and Africa (EMEA) James Sparrow, said: "We have seen an extremely positive start from our newly-acquired Middle East business with some very exciting opportunities arising from the strong collaboration between our teams both in region but across EMEA and beyond." "They are a leading force in the Middle East and have shown us they share our values and culture with a priority for the highest level of client care," he stated. Savills is a UK-listed firm, established in 1855 with a global office network of over 600 wholly-owned and associate offices employing more than 35,000 people in over 60 countries throughout the Americas, the UK, Europe, Asia Pacific, Africa and the Middle East.